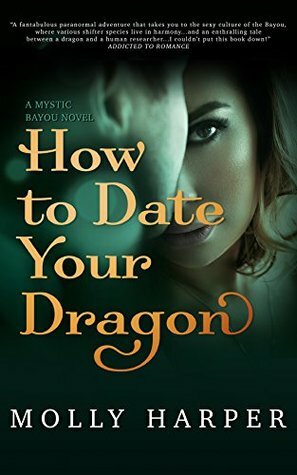 In How to Date Your Dragon (Mystic Bayou #1) by Molly Harper , As an anthropologist who works for the League for Interspecies Cooperation, Dr Jillian Ramsay has been waiting for the day when she’ll be able to go out into the field on her own. And after her mentor has a mishap with a unicorn (don’t ask) Jillian finds herself heading to Mystic Bayou, Louisiana to take over his research project. The sleepy little town is an eclectic mix of humans and various shifters. Some of whom are cordial and downright friendly, like the town’s mayor, Zed Berend. But there are those who don’t exactly trust newcomer Jillian. The most vocal of which is the town’s sheriff, Bael Boone. Bael has his reasons for worrying that Jillian will dig too deep into the town’s history while she tries to figure out how the varied citizens of Mystic Bayou have lived together in relative peace for so long. And when bad things start to happen, including a few deadly attacks on the locals, Bael can only assume someone’s not happy with Jillian’s presence in town. But no matter how much he tries to avoid the fiery, beautiful scientist, she draws him back like a moth to a flame. Or a dragon to his treasure horde. As they team up to find the culprit behind the attacks and he falls further and further for Jillian, Bael will have to decide if they can make a relationship between a shifter and a human work, or if her research missions will take precedence over their future. If I wasn’t already a huge fan of Molly Harper’s, How to Date Your Dragon would have won me over from page one. With her trademark snark and offbeat characters, this was a terrific start to a whole new fantasy/paranormal series. She crouched in front of the dragon’s head, which was the size of a smart car. I’ve been in love with Molly Harper’s writing style since the first Jane Jameson book, Nice Girls Don’t Have Fangs, close to a decade ago now. And with every new series and every new book she offers her fans, I simply can’t wait to find out what’s next. That’s why I was so looking forward to Mystic Bayou. 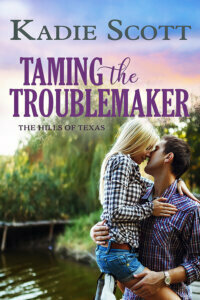 This first book had the Southern charm and small town craziness I’ve come to expect from her. But it also introduced a whole host of fantastical creatures, all shifters of one breed or another. From bears to phoenixes to gators and dragons (oh my!) the townspeople and their shifter alter-egos were pretty incredible to meet. And super funny. But what else would you expect out of Harper, right? You can’t go wrong with anything by Molly Harper, but How to Date Your Dragon is probably my favorite of her work so far after her Jane Jameson and Half-Moon Hollow books. Hilarious, captivating, and heartfelt enough to give you all the warm and fuzzies, I highly recommend checking this one out. oh yay…I am so thrilled to see that you loved this one too. Its so so good right? These two made a great pair for sure and probably one of my favorite dragon romances I have ever read. 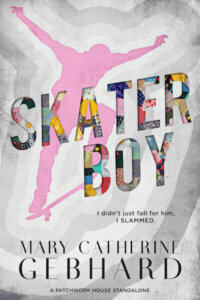 I am curious to see what this author will do with this series.